I’ll be honest. I get jealous writing about other peoples adventures. Especially ones like this. But I’ve really enjoyed playing my small part in the planning stages of the Elevation Challenge 2015. 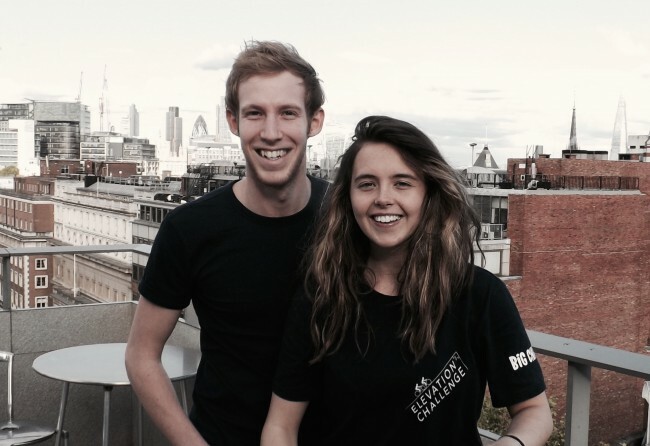 Ben Treasure and Erin Duffy plan to travel from the lowest to the highest point in Europe using human power alone. 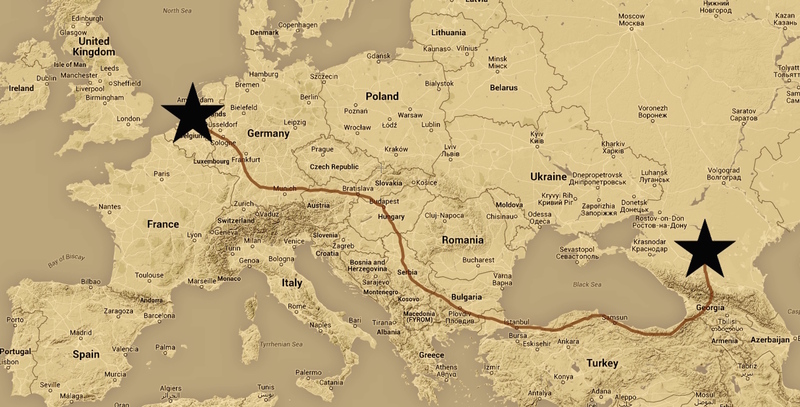 They aim to cycle 5000km across western Europe, Turkey, Georgia and into Russia. Before climbing to the finish line at the summit of Mount Elbrus. Ben and Erin were keen to document the trip using mobile technology. We fleshed out a few platforms and tools that would ensure they stayed powered, connected, and above all safe. The ability to share their story from remote places would help them raise funds for their chosen charity. It also keeps those back in the UK informed as to their whereabouts. We talked about the pros and cons of of using Twitter. The mapping functionality functionality of their website. 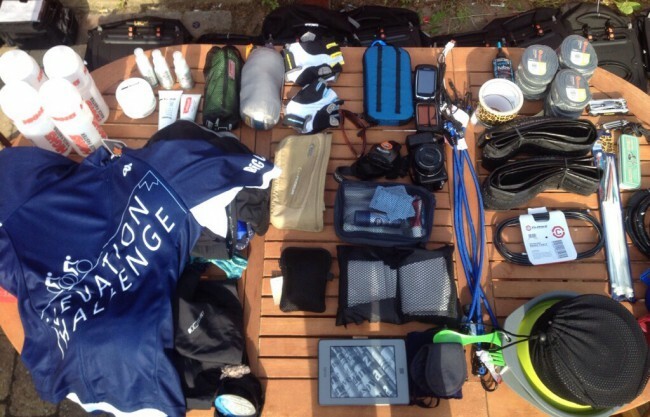 The kind of kit they could pack while still travelling light. A social media strategy will differ from need to need, place to place. We decided they needed to keep their website as the hub. Not just a static page but an updating stream of information. It may be that people follow them on Twitter or Instagram but the complete picture will end up on their main page. A one-stop shop as well as an archive. Their ‘geolocation’ data can be shared easily. Third party software can then take that information into a widget on their site as well as a Google map. Joining up the dots. It’s possible that with these context rich mobile updates you can make people feel a part of the journey. This may also inspire them to invest in the good cause. These front end places will rely on the mobile kit feeding them with the ongoing story. The Elevation Challenge is an unsupported expedition. Meaning that kit weight is a big issue. They will ship their mountaineering equipment to Russia. But every other gram/cubic centimetre of space has to count. I’m sure they will still come to loath their tech based burdens as much as feel enabled by them. All going to plan it’s keeping them safe AND helping them raise money. Back in the 90’s I would travel Africa with a 15 litre pack. As long as I had a mozi net, a silk liner and a water filter, I felt could take on anything. Now with my yearning to document my surroundings in realtime I can at least be double that. To keep their tech based weight down Ben and Erin will be relying on the iPhone as their main communication device. On the move they will share to Twitter, Instagram and Facebook and updating their blog using the WordPress app when possible. In addition to the phone, high resolution imagery will be captured on the The Sony NEX-6 camera. It can transfer photos wirelessly to the iPhone. Video can also be captured on a GoPro. In both these cases the iPhone can edit the media meaning a laptop isn’t required. A brave move some might think, but workflow adapts well to restrictions. I also recommended the guys take an unlocked MiFi (portable sim based wifi hotspot) and a solar charging solution. We looked into Satellite communications but it appears they will be well served by GSM most of the way. So… They have fine tuned their route.. Prepped the bikes and are on their way. I have just now received an encrypted audio message from the guys thanking me for my help as they head off on this amazing adventure. It’s an absolute pleasure. I only wish my work commitments weren’t quite to heavy at the moment. Or I’d be shadowing them with another networked device. 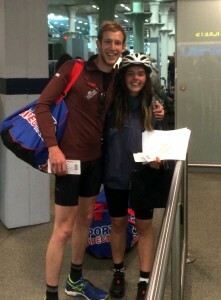 Just this second got messaged this photo from Ben and Erin as they leave the UK..
And i’m @Documentally on twitter. Thanks for reading.